After managing a clinic for 7 years for the largest independent physiotherapy company in London, Gary decided it was time that his home town Birmingham should benefit from the craft and skills he has worked hard to develop as a physiotherapist. Added to this the thought of losing his Brummy accent any more was just far too much to take! Gary graduated from the University of Southampton in 2001 with a first class honors degree (I know what you’re thinking…yes it is an old profile picture)! He started his physiotherapy career in Birmingham and after 5 years honing his skills in the N.H.S he decided it was time to take the plunge. He entered the world of private practice and he has not looked back since. 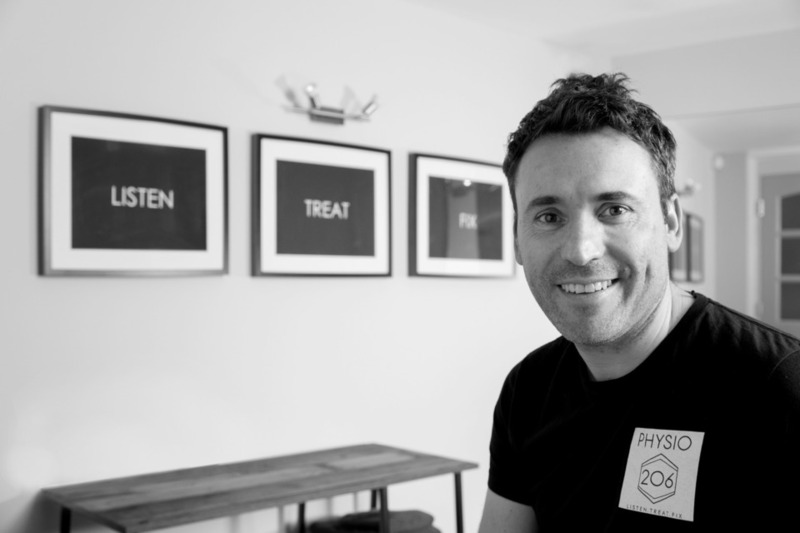 Moving to London in December 2009, Gary joined the highly successful and critically acclaimed “Six Physio” and during this time he treated a staggering 2830 new patients. They came from all walks of life. From actors to authors, models to sports people, young mom’s to stay at home dad’s and builders and bankers alike. Gary built a loyal patient caseload by delivering high quality physiotherapy and achieving excellent results. Word of mouth and consultant led referrals were the mainstay of his clinical practice and this was testament to the high regard in which Gary was held by consultants and patients alike as well as evidence of the excellent level of customer service provided . Gary wants PHYSIO 206 to be the platform for building on this and he feels very passionate about providing a high quality physiotherapy service for the people of Birmingham, the great second city. Gary enjoys nothing more than making people feel and move better. He has a special (some may even say “geeky”) interest in the manual physiotherapy treatment and rehabilitation of people with shoulder pain, knee pain and back pain. However, he has treated people with all manner of symptoms such as headaches, painful jaws, fuzzy feelings in hands, sore backs and tired achy hips to sports injuries, sprained ankles, joint replacements and many other types of orthopaedic surgery. Many of these cases have very interesting stories too…trust me I could write a book… 100% confidentiality guaranteed of course! On to the boring but important professional bit Gary is a member of the Health Professions Council (HCPC) and Chartered Society of Physiotherapy (CSP). He is also a member of the Acupuncture Association of Chartered Physiotherapists (AACP) and holds a postgraduate diploma in manual therapy. When not working hard Gary enjoys nothing more than spending time with his family and enjoying his 2 main passions in life football and cricket.